Expect a pleasant stay at Hotel Golden View with premium hospitality and chic rooms. Each room is designed with a different theme using various colours and patterns. 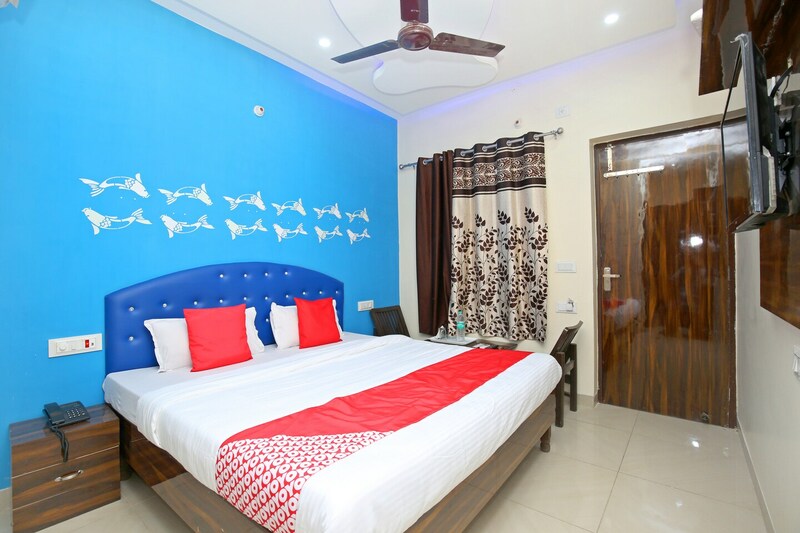 The rooms are well-equipped with basic amenities and comfortable furniture for the relaxing stay of the guests. The bathrooms are also equipped with geysers. The seating area is well-furnished and can be used by guests to relax and unwind. Free Wi-Fi service can be used by guests to stay connected with social media or to complete their work. Power backup and CCTV cameras ensure the security of the guests.